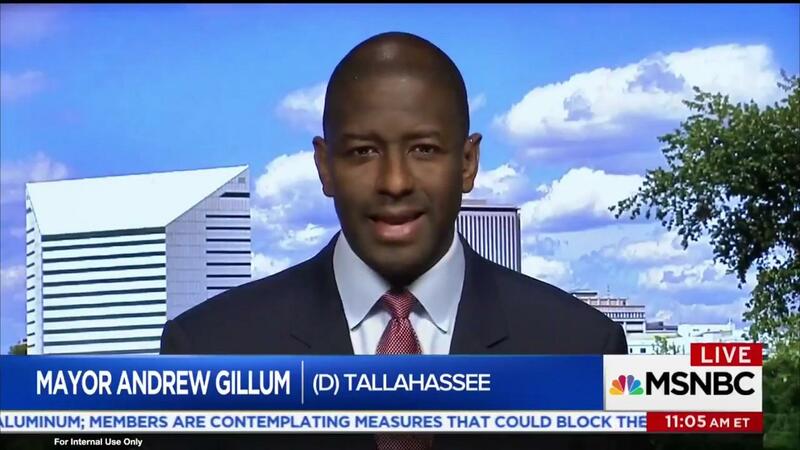 Andrew Gillum talks about NRA lawsuit on MSNBC's "Morning Joy" 3/10/18. 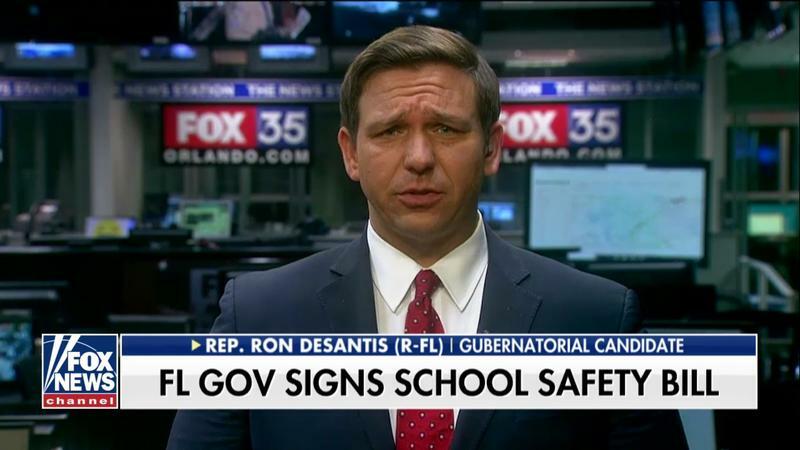 Shortly after Governor Rick Scott signed off on a three-day mandatory waiting period and minimum age requirement for all gun purchases of 21, Florida Republican Congressman Ron DeSantis took to Fox News. “We wouldn’t say if you're 18 to 20 you don’t have a 4th Amendment right and police can search your house without a warrant; We wouldn’t say they can seize your property without just compensation and the 5th Amendment doesn’t apply. So I think that provision is problematic," he said. DeSantis wouldn’t say whether he would have signed the measure, but argued the increased purchase age goes a step too far. And that’s something fellow Republican hopeful and state Agriculture Commissioner Adam Putnam agrees with. “I’m not in the legislature but there are components in it I disagree with. I want to create a safe learning environment but neither the waiting period nor the age limit expansion does that," Putnam said, but refused to answer whether he would have approved the new law. 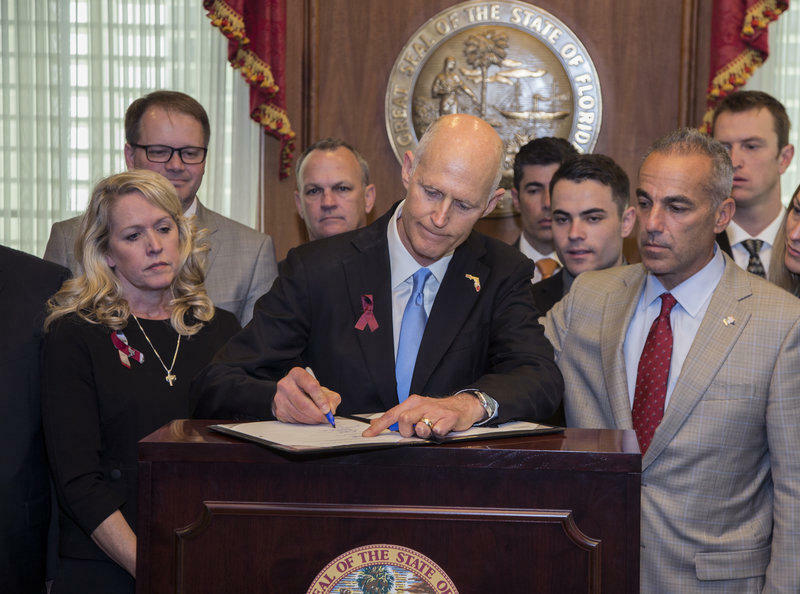 Florida lawmakers rushed to respond to the Valentine’s Day school shooting in Parkland, Florida. Seventeen people died, a similar number were injured. The new law comes with a $400 million price tag for increases in mental health and school safety. 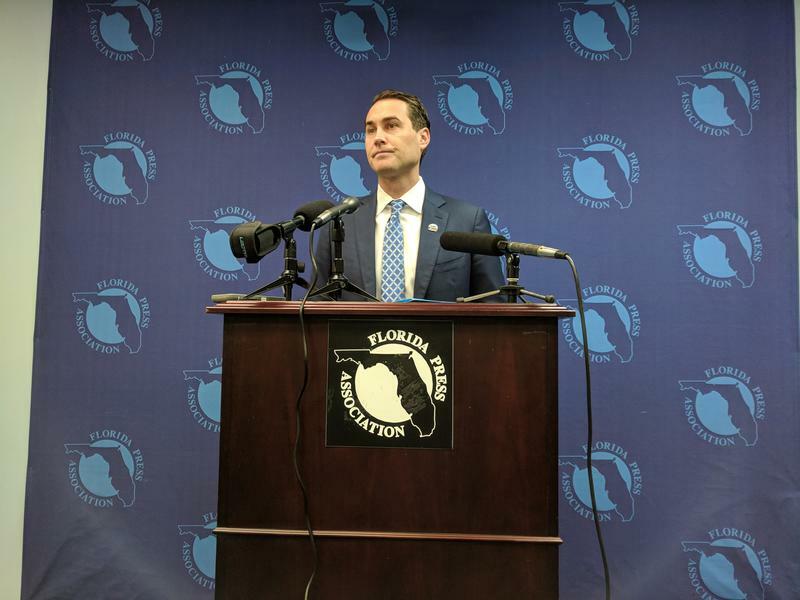 Yet while some, like DeSantis argue it’s a step too far, others like Tallahassee mayor and Democratic gubernatorial candidate Andrew Gillum say it isn’t enough. “You know what? If it’s 21 to have a beer, what’s so radical about being 21 in order for you to access a gun?” he said on the MSNBC show, "Morning Joy." Meanwhile, House Speaker Richard Corcoran, a possible Republican gubernatorial hopeful, is defending his decision to vote in favor of the bill. Corcoran has received an A-plus rating from the NRA for the past several years and shakes off the lawsuit. “I don’t think we’ll lose the case. I think what we did was constitutional, it was extremely impactful and it will go down—in five to ten years people will talk completely differently about the bill we passed, including the NRA," Corcoran told reporters shortly after the legislature adjourned its 2018 lawmaking session Sunday. One phrase that most Republicans seldom utter, except in a negative way, is gun control. But for Democrats, especially those who are running for Florida governor, that phrase isn’t negative at all. 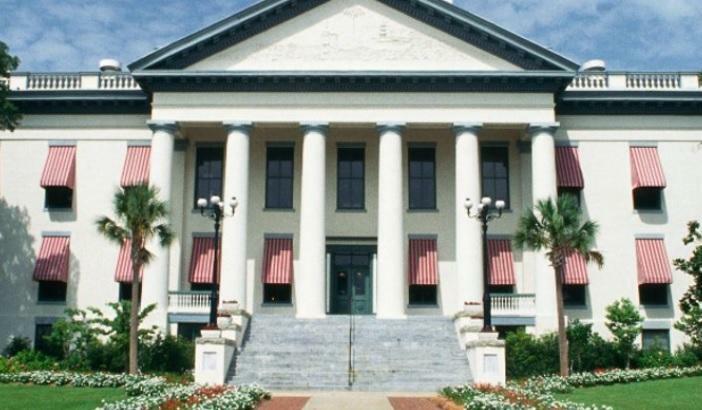 Wednesday marked the Florida Cabinet’s final meeting for this year’s legislative session. After, Governor Rick Scott and Agriculture Commissioner Adam Putnam shared their thoughts on current issues the state will have to deal with this session and beyond. 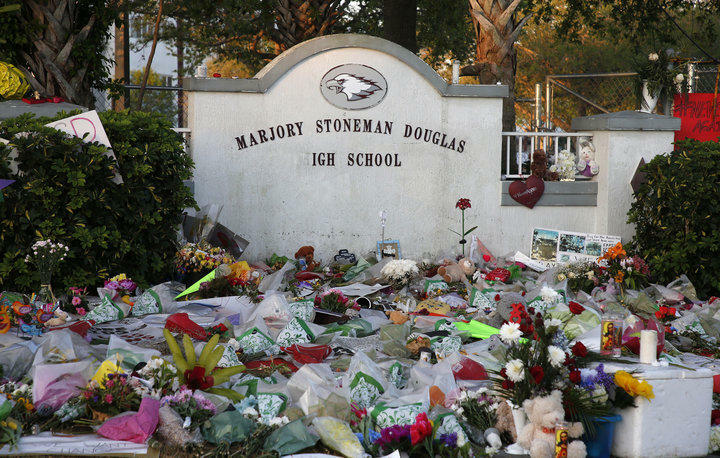 The Aftermath of the Marjory Stoneman Douglas High School shooting has Florida’s lawmakers changing their focus to debates on firearms and school safety. 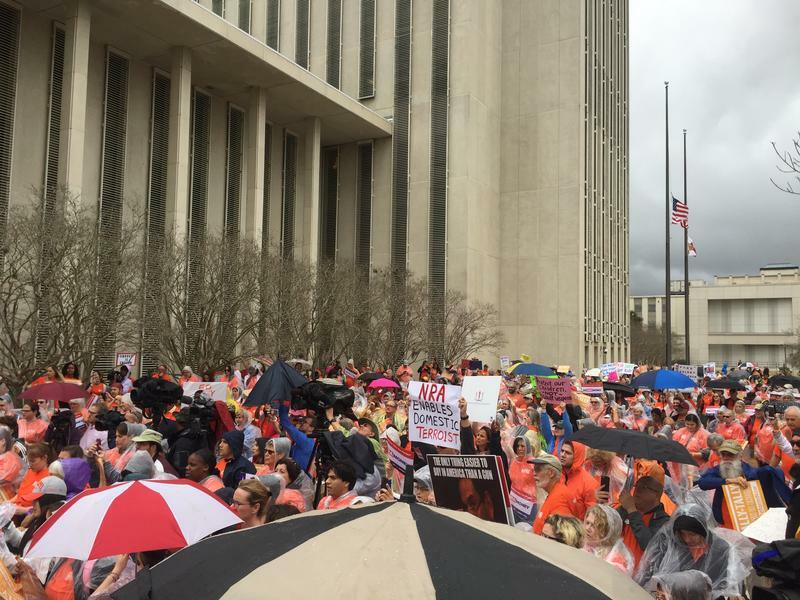 Supporters of gun reform rallied outside the Capitol Monday with one clear message: action.